diet, fatigue, Health, health benefits, Health tips, Iron Rich foods, physical exhaustion, Physical tiredness, Vitamin C.
Fatigue is nothing but mental or physical exhaustion. Tiredness, lethargy, sleepiness and lack of energy are some typical terms to describe Fatigue. Fatigue may refer to either the body (Physical tiredness) or mind (Psychological tiredness). If you are responsible about your health, it won’t surprise you to know that when the body has/gets all the nutrition it needs, the likelihood of you experiencing fatigue or tiredness of mind and body is less. In other words, you stand a better chance when dealing with stress and illness when you have cared enough to act against things that cause fatigue. Don’t belong to this good category? Here is help to find your way. Morning Tiffin is important because it refills energy reserves and sets the tone for your day. A good breakfast refills our energy stores and keeps lethargy at bay. Choose a carbohydrate rich breakfast such as cereals or wholegrain bread as the brain relies on glucose for fuel. You eat carbohydrates and proteins in tandem at lunch time to fight the afternoon doldrums. Protein-rich foods also contain a precursor to neurotransmitters, which promote alertness and attention. A dehydrated body functions less efficiently. Dehydration can lessen blood flow to organs, thereby slowing down your brain. Drink about 8 glasses of water every day and don’t wait to drink water until you feel thirsty. Consume enough calories avoiding big meals. 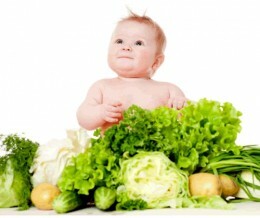 Nutrient needs vary depending on your age, gender, weight and activity. Do not skip meals, as it will dip your blood sugar levels. Crash diets too do not contain adequate carbohydrates to meet your energy needs. They also leave your body deprived of nutrients like vitamins, minerals and trace elements. Iron enables blood to carry oxygen to various organs of your body. Lack of iron also leads to fatigue. Even in the s absence of anemia, low iron levels can cause fatigue and depression. One o r two rounds of caffeinated drinks (like coffee/tea/cola) each day will boost your energy levels and mental alertness. But if you are a heavy caffeine user (consuming more than six drinks per day), you will be prone to anxiety, irritability and reduces performance. The antioxidant reduces oxidative stress, which is the result of too many free radicals in the body. It is another contributor to chronic fatigue syndrome. If you feel lethargic or fatigued after eating, then what you have consumed is the wrong food. The trick is to choose foods that release energy slowly and give you a gradual and long-lasting boost of energy. Tags # diet # fatigue # Health # health benefits # Health tips # Iron Rich foods # physical exhaustion # Physical tiredness # Vitamin C.
Labels: diet, fatigue, Health, health benefits, Health tips, Iron Rich foods, physical exhaustion, Physical tiredness, Vitamin C.